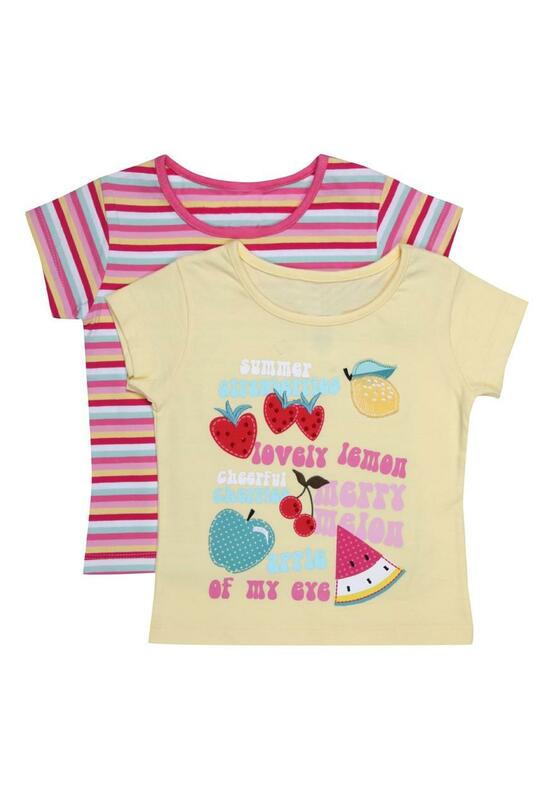 Add some colour to their summer wardrobe, with this adorable 2 PK set of printed t-shirts. A pair that will go with anything, dress up with a simple skirt or chino's or down with jeans. Ideal for any casual occasion, she'll be right in style with not just one but two trendy, statement tees.